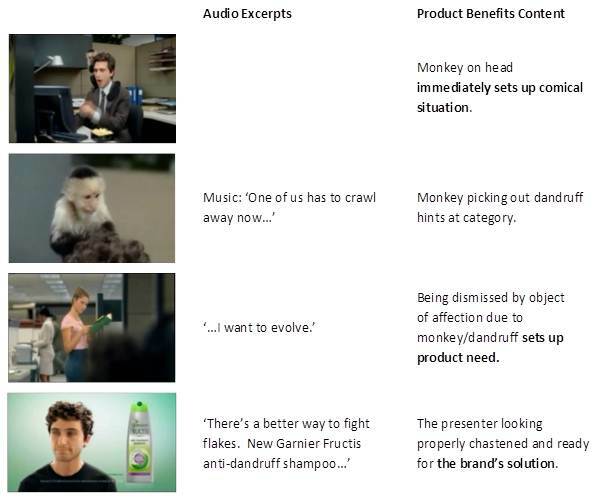 Part one of this series examined tactics for ensuring that the advertised product actually remains the main character of the advertisement, while part two discussed some methods that can be employed to characterize the product as a hero in the lives of consumers and part three covered how to enable our product to speak in a convincing voice. While at this point it may seem obvious that the product and its message are the key components of product benefits advertising, the executional envelope that we use to deliver our message must not be overlooked. There most certainly is an important place for creativity in the product benefits approach. The concluding segment of our series will examine the appropriate role of presenters and stagecraft in the context of a product benefits advertisement. Part 4: Use Presenters and Stagecraft in Supporting Roles Only. Even superheroes can use some support. Batman has Robin, the Lone Ranger has Tonto and even Superman can use a hand from Jimmy Olsen now and then. As hero of our advertisement, our product also depends on support from other commercial elements to optimize delivery of the intended message to the target audience. In this supporting role, presenters and stagecraft can help to establish an emotional connection with consumers, personalize product benefits and enhance the interest level and engagement of the audience – all while not distracting from the product focus of the ad. 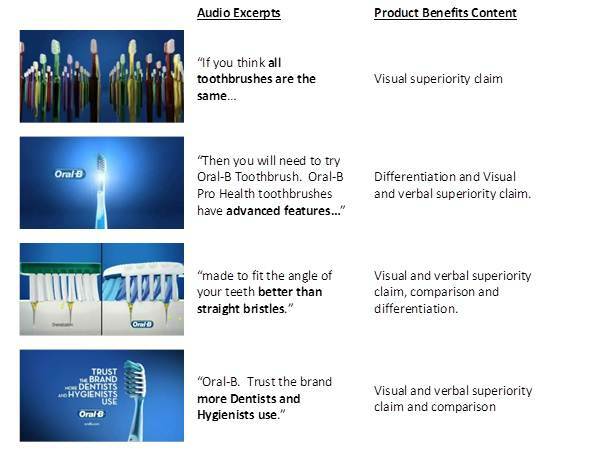 Effective presenters are among the most powerful creative elements that can be deployed in product benefits advertising. But first a word of caution – care must be taken to ensure that the presenter does not displace the product as the key focus of the ad. This is particularly true of celebrities, where we may be tempted just to try to cash in on the celebrity’s aura. As with all temptations, we must stand firm and retain our commitment to the product as hero of our commercial. Provide credibility: A presenter can bolster a claim and make it more believable. 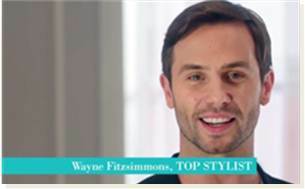 One technique is to use an endorsement by an authority relevant to the product category – for example a doctor, hair stylist, or mechanic. In addition, brand users giving a testimonial of their experiences with the product can also provide a convincing reason to believe. Convey emotion: Presenters are one important vehicle that can be used to convey emotion to viewers. For example, they can be used to illustrate an emotional end benefit from using the product, help create feelings of need for the product, inject humor or other positive feelings around the brand and can even personify the brand in the minds of consumers. Give context for a problem: If our ad intends to use the product as the hero in solving a pressing problem, the presenter can be instrumental in setting up the context of the problem, especially in illustrating the physical or emotional toll the problem burdens the user with. Act as a natural vehicle for demonstrations: While category dependent, for many products the presenter is integral as a means for demonstrating the product in use for the purpose of highlighting its efficacy, features or superiority. 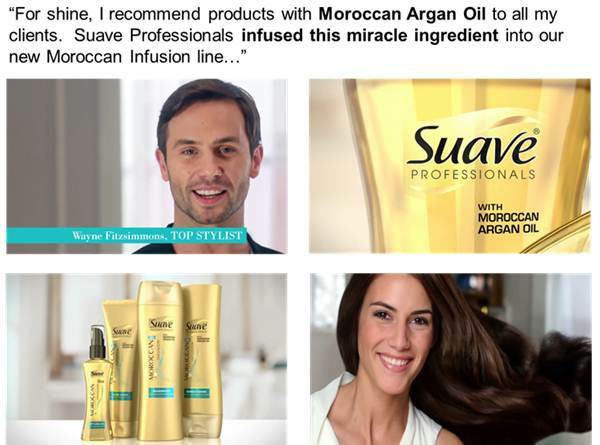 Portray beauty or other results of using the product: For many products, particularly personal care items such as shampoo or skin care, the presenter is the ideal means to convey the beauty, satisfaction, confidence or other result that we wish to be associated with the use of our brand. 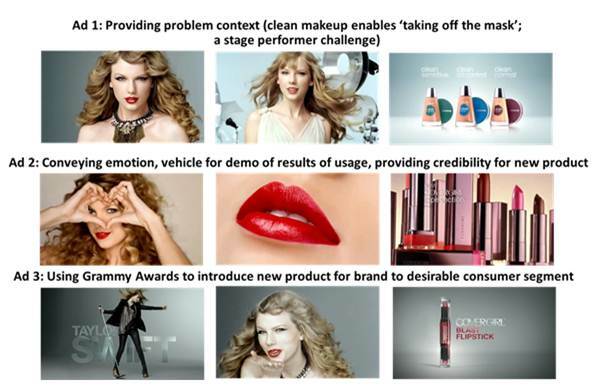 Taylor Swift has been used in the ongoing Cover Girl campaign, providing continuity across ads and linking to the young audience the brand wishes to reach. The brand has deployed her in a flexible manner, not only portraying beauty but also fulfilling many of the other important roles a presenter can take on. The overall tone of an advertisement is intimately wrapped up in the creative approach and hence potential options may to some extent be dictated by the product category and the selling proposition the brand is working from. That said, the chosen tone of our ad can attract attention, enhance memorability, convey emotion, emphasize product benefits and help to avoid the dreaded zap. While a variety of tones may work well in a given situation, there are a few that are associated with enhanced advertising recall and message communication. If a light-hearted tone is not the direction we wish our advertisement to take, an exciting or dramatic tone can also build interest while underscoring the importance of the product’s benefits in a serious yet passionate manner. 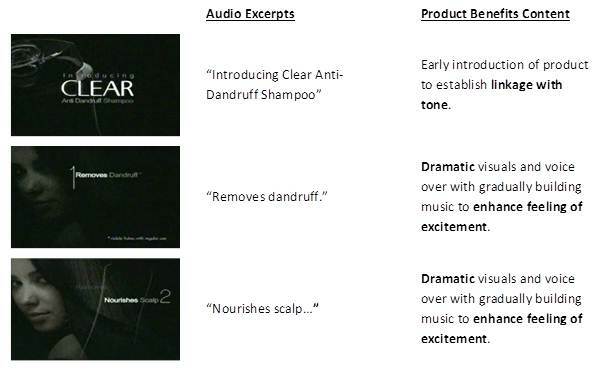 This spot for Clear Shampoo uses dramatic music, colors and fades to produce an air of importance and innovation. When it comes to the length of a commercial, a good rule of thumb is that a commercial needs to be as long – and only as long – as it takes to effectively communicate the intended message. Sometimes our message is too complicated to compress to 15 seconds and still be meaningfully communicated to the audience. Other times our message is so concise that stretching it to 30 seconds amounts to overkill. Because of its brevity, the :15 second spot requires special attention. Research on pairs of :15 and :30 second ads shows that on average, :15 second ads are about 77% as sales effective as their :30 second counterparts and in fact 27% of :15s score equal to or better than the :30 second version when tested. Given the lower cost of airing :15s, this presents a great media efficiency opportunity – with the above caveat that not all ads can be effectively reduced to this length. If possible, create original short form ads. Attempting to cut down an effective :30 second spot can result in a lack of clarity or poor support in terms of reasons to believe as hard choices need to be made in terms of what to remove. It is better to plan the :15 from scratch with the limitations of the format firmly in mind. Reduce communication to a single idea. Multiple ideas in a short format will reduce communication of all ideas and limit the ability to provide any meaningful support or demonstration. Use images or pictures instead of words. A picture is worth a thousand words, and since a :15 second ad allows for well under 1000 words, the picture is clearly the way to go. The following visual comparison, drawn from an ad for Vlasic Stackers, made a clear and compelling argument in the :15 second version – but it became almost tedious in the :30. Not surprisingly, the :15 substantially outscored the :30 second version when tested. You need to show the product – remember, it’s the hero! There isn’t a lot of time and there may be temptation to try to include other important elements. Resist it! Include at least three, and preferably five, seconds of product shots. Avoid storytelling. It’s hard enough to tell a “story” in 60 seconds. It’s very hard in 30 seconds. And 15 seconds forget about it! Music is great for conveying emotion. And when it is a major element of the execution or a continuing theme in a campaign, it has been shown to enhance memorability of the ad. However, as Bill Backer once observed, Fifty to sixty percent of music done today is a substitute for an idea. It’s not don’t try it. The number of scenes in an ad will to a large extent be dictated by the overall executional approach. A reasonable number of scenes can improve attentiveness by controlling the pace of the ad. 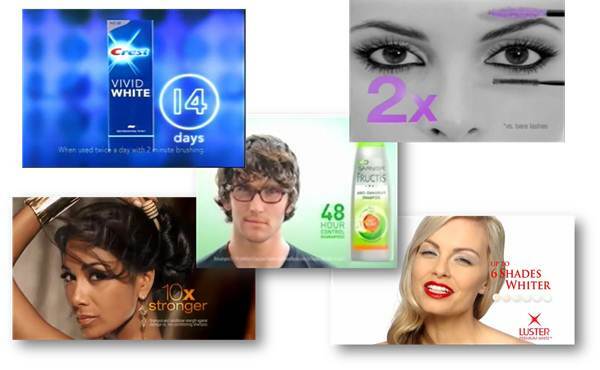 Generally, a moderate number of screen cuts, in the range of 4 to 19 for a :30 second ad, is best. A pace that is too slow or too fast likely hampers attentiveness and has been empirically shown to lead to lower copy test scores, on average. Voice-overs provide additional information to help reinforce the points being made visually. Zooms and close-ups improve attentiveness by making the ad more interesting to view and allowing greater detail to be shown when demonstrating the product or the results of use. Legends provide the primary means of communicating additional information that doesn’t rise to the level for voice-over. Part one of this series examined tactics for ensuring that the advertised product actually remains the main character of the advertisement. As with any narrative, we must endeavor to appropriately develop our character. Certainly we must avoid consumers perceiving our product as they do the odd relative who overstays his invitation to the holiday gathering and for whom we uncomfortably wait to take his leave – boring, irrelevant and annoying. Rather, we should strive for our product to be engaging, compelling… even heroic. Part 2: The product plays the role of hero. Product as Problem Solver: Many of the products we use in everyday life solve some type of problem, from those that may seem relatively mundane – how to get a sparkling toilet bowl without so much effort – to those that are vital to our well-being – the drug for keeping our blood pressure under control. Of course, it never hurts to have ground-breaking, disruptive innovation to crow about. But that is not the reality that most products are faced with. What are some tactics our brand can use to pique consumers’ interest in our brand’s solution to their problem? Use information about a new variety or feature – or even an entirely new product – which provides a new way of doing something. “News” gets attention and sparks interest – especially among younger generations. It may be a new scent or flavor, an interesting new ingredient, an added feature or an improved method of using the product. News denotes change and implies improvement – giving the consumer a reason to believe the product’s solution will be better. 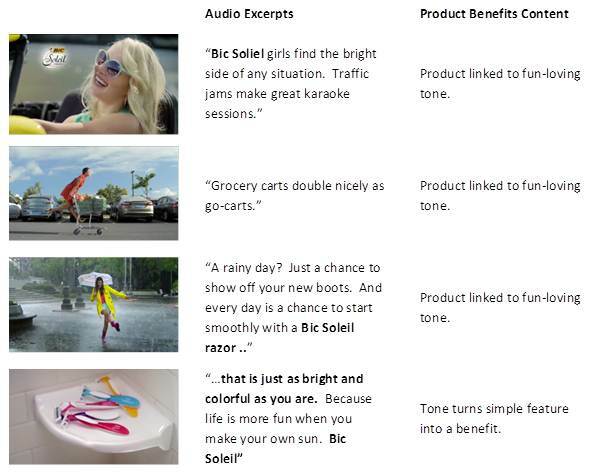 Differentiate the product to show how it provides an advantage versus other options. In order for consumers to want to try our product’s solution, they will need to perceive that it is different in some way from other options. This can be done through a claim of uniqueness pertaining to some meaningful aspect of the product or its performance, but it can be even better to provide evidence or a demonstration which proves how our product is different. Use a claim of superiority and/or a comparison to the competition to highlight how our product is an improvement over others. Note that an unsupported claim to be “better”, “faster”, “healthier” and so on is not likely to move consumers. Superiority should be claimed on some specific dimension(s) and substantiated in some meaningful way. A comparison to the competition can make the claim of superiority more concrete and believable. Comparisons can be made directly versus a specific competitor or indirectly versus a representation of the competition (“leading brand”, “non-quilted paper towels”, etc.). While both approaches have been seen to be effective, there is some evidence that direct comparisons – especially against large brands – are often more powerful when they can legally be made. But make sure you are prepared for the response from the targeted competitor. This example ad for Oral B illustrates the effective use of these tactics to sell the viewer on the brand’s solution to cleaning her teeth. Products as Life Enhancer: It’s called “everyday life” for a reason. Sometimes we look for a little spark of excitement wherever we can get it – even from our toothpaste. Advertising can offer our brand as the means to enhancing life in a concrete manner but also in less tangible ways. While there are any number of potential approaches, the following types have been commonly employed to illustrate how the product can enhance one’s life. What can do more to facilitate the good life – making life more pleasant, alleviating frustration or expanding leisure time – than a product that can render tedious or tiresome tasks simpler, faster or more efficient? If our product is able to effect such a change, then focus on such a convenience claim can be a powerful driver advertising effectiveness. More than making the tedious faster or easier, other products may promise that the use or consumption of the product itself will be a pleasant experience. Such enjoyment appeals are common in ads for food and drink brands (“tonight, let it be Lowenbrau”), restaurants (“I’m lovin’ it”), entertainment categories, consumer electronics (LG – “Life’s Good”) and so on. 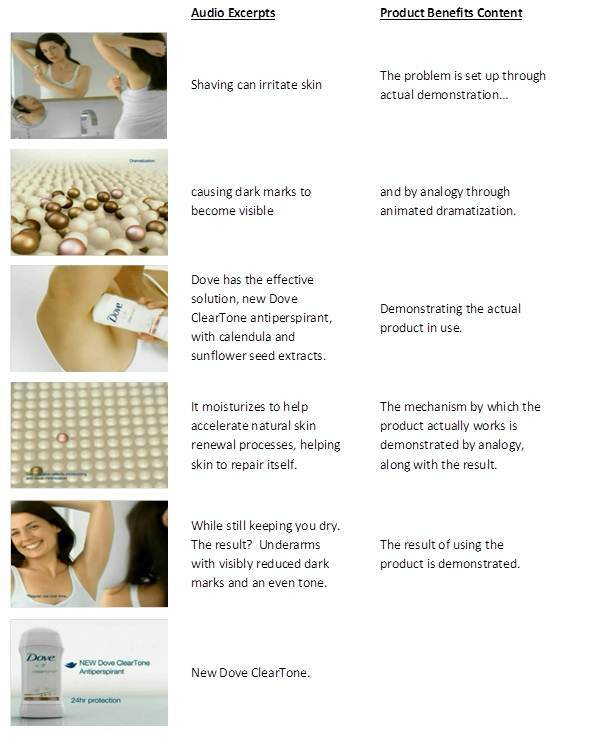 But they can also be deployed in less obvious ways, such as by health and beauty brands. This example from Giorgio Armani Acqua di Gioia uses images, setting and voice over to convey pleasure derived from the product. Further up the hierarchy of needs, we all want to feel good about ourselves. 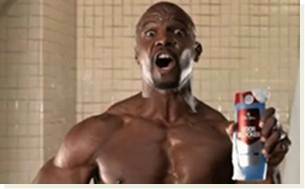 Ads that can associate the product with the creation of a sense of personal empowerment, while tricky to pull off, can pay-off if they truly hit the mark. 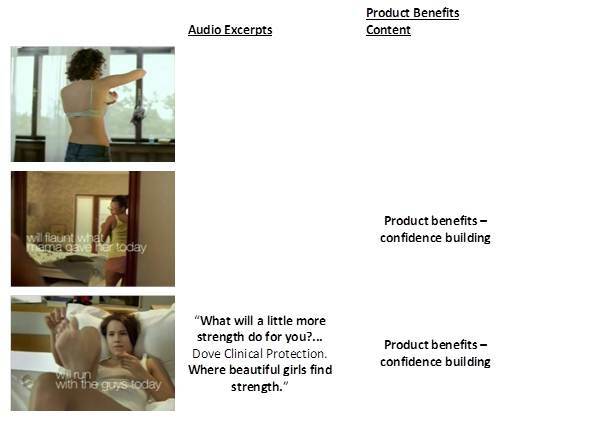 This confidence building approach was effectively targeted to younger women in this ad by Dove Clinical Protection, which used vignettes to link product efficacy to the strength needed to overcome challenges. 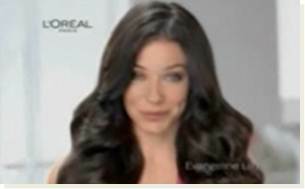 Some ads encourage viewers to think big. These aspirational ads hold out the possibility that the best things in life – success, happiness, wealth, social status – are achievable and not just dreams. Of course, with the exception of the occasional late-night infomercial, these ads do not promise the product will enable you to achieve these things. 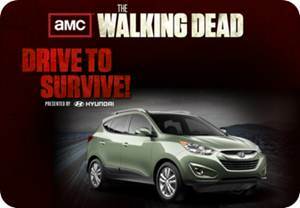 The key is in linking some vital aspect of the story to the brand’s equity. 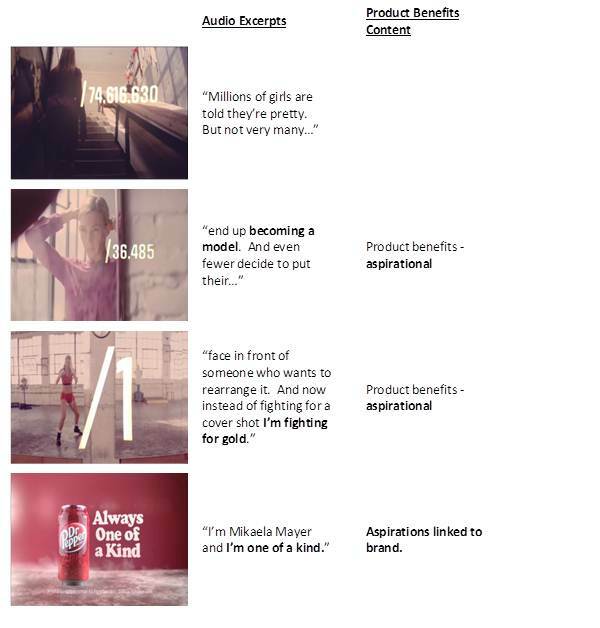 In the following example, Dr. Pepper aligns itself with reaching the top because its equity as a unique, one-of-a kind soft drink aligns with the story of the ad’s subject. It was Leo Burnett who said, “What helps people, helps business.” In its role as the hero of our advertisement, the product shows how it can help people to live better lives. If this is done effectively, it will not only help the people we reach with our product, but drive business for our brand as well – and isn’t that the objective of our advertising?